Car accident injuries are commonly very serious medical issues for victims that can last a lifetime and possibly result in death, and the impact a personal injury can have on life can be devastating. Even injuries that can seemingly be rehabilitated can recur later in life, such as a minor back injury that worsens with time. Mental anguish is also a component of many accident injuries, not to mention that many fatal accidents can be horrifying experiences that affect the victim emotionally for the remainder of their life. All of these damage issues are financially recoverable to some degree, with the actual evidence regarding the level of injury determining the amount of available compensation. 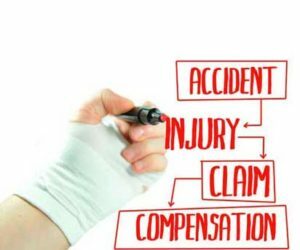 But, injured victims would have little success collecting equitable damages for these injuries without the assistance of a personal injury attorney who understands how to craft a case for maximum financial value. One of the first and foremost problems that injured claimants face is dealing with the respondent insurance company. The novice injured claimant is no match for a trained professional negotiator that works for the insurance company as a claims adjuster. While they are not always attorneys themselves, they are specifically taught to identify when a case can be settled quickly with a claimant who does not understand the full potential value of their claim. The insurance company is only obligated to the claimant to the extent of insurance coverage and anytime they can settle for less they will, even if it means misrepresenting the claim. The whole objective is ending the case as cheaply as possible and protecting their client and the company. A personal injury attorney understands this tactic and will be watching diligently looking for a potential bad faith negotiation claim throughout the settlement process. Having your own trained professional handling your bargaining can result in a much higher settlement, and could even result in additional avenues of financial recovery when there are multiple negligent parties. A another legal step a personal injury attorney can use is investigating the accident personally while attempting to identify as many negligent parties as possible. Official accident reports are not the only evidence that can be entered regarding fault and negligence in a car crash personal injury case. A personal injury attorney can interview all involved parties as well as the officers who worked the scene and question them regarding their testimony. This can be vital in cases where fault is not clear cut or in trucking accidents where the trucking company instructed the driver to violate the law in any manner, including speeding while in transit. Accidents involving big trucks commonly result in legal actions against both the driver and the employing shipping company or contracted client and valuable evidence can be uncovered during the process, including evidence of defective auto equipment such as exploding air bags. Reimbursement for medical bills is commonly understood among all personal injury claimants. These are typically compensatory damages that can be calculated by specific dollar amounts, which is why they are also known as special damages by some insurance companies and court systems. Medical bills can be itemized submissions that include all treatments for rehabilitation along with treatments for the specified injuries. The medical bills serve as documentation regarding the level of injury the victim suffered, and can include long-term prognosis by doctors regarding ongoing medical treatment. All insurance companies want to avoid the ongoing medical, and they will often offer a quick low-ball settlement to a claimant when they think they can get a signature that will end any other other financial liability. This is an automatic red flag that a personal injury attorney should be retained immediately because it is a direct indication of the potential value of the claim. Once they have a signature the case is over with no chance at receiving general damages for pain-and-suffering, which is the true value enhancer for a personal injury claim. The most valuable element of a personal injury claim is the assessment of long-term impact and difficulties the victim will experience for the remainder of their life. Insurance companies will never make a general damages offer when submitting a quick settlement offer when they think it will result in no negotiation with a personal injury attorney. This is actually where your legal representative is most effective because there are many factors that can go into this equation. This can be especially important for young claimants who will have many years of lost income and physical problems stemming from their injuries. An aggressive personal injury attorney will stress a high value component of a settlement for general damages and could even build a case for punitive damages in egregious cases or fatal accidents. Winning a case for punitive damages can never be achieved by a novice injured accident victim. This is an award that must be ordered by a jury and proven in a trial by a personal injury attorney who can demonstrate the defendant was not only negligent in actions leading to the injuries, but was grossly negligent in their actions or failure to provide a reasonable duty of care toward the injured plaintiff. These damage claims are always strongly defended by both insurance companies and commercial corporate defendants such as trucking companies, and they always require the expertise of an experienced trial attorney who understands how to craft a solid case for maximum punitive damages as punishment. Never accept a quick settlement offer from an insurance company when you have been injured in an accident because your claim may be much more valuable than you realize. Studies have shown that most injured claimants receive up to three times as much financial compensation when they have solid legal representation. Always call an aggressive experienced personal injury attorney with a track record of excellent results for their clients. You only have one opportunity for financial compensation. Make sure it counts! People face many risks in the daily lives, with some of these threats creating the possibility of serious injury or even death. Fortunately, those who suffer some form of personal injury that results from the inadvertent or intentional actions of others can obtain help through the U.S. civil court system. However, they will need the assistance of a personal injury attorney to ensure that they are treated fairly and receive the financial compensation that they deserve. According to the Centers for Disease Control and Prevention, more than 30 million incidents resulting in a significant injury occurred in the United States during one recent year. Nearly 150,000 accidental deaths were reported during that same year. Many of these injuries and deaths stem from the negligence actions of a person, a group or some other entity. This negligence can come in the form of drivers who are intoxicated, distracted or merely careless. Slips and falls related to the careless practices of property owners can result in serious injuries and even fatalities. Americans often suffer harm in the workplace due to falls, fires or exposure to hazardous agents or prolonged physical activity. In the home, both adults and children may be exposed to risks related to products that are defective or which lack proper warning labels. Medical malpractice constitutes a large number of personal injury cases, with the harm often related to an improper diagnosis or treatment, or the administration of the wrong or an incorrect amount of medication. A personal injury can even come in the form of a slanderous communication that damages a person’s reputation. It is the victims of such accidents or intentional acts who should consider filing a personal injury lawsuit. Americans have what is known as a “duty to care” for their fellow citizens. They can demonstrate this care through some simple steps, such not as not getting behind the wheel after consuming a significant amount of alcohol or while heavily medicated. Companies can protect their employees by following established safety standards and properly maintaining their machinery. Businesses that directly serve the public can reduce the risk of accidents by making sure that walkways are in good condition, well lit and clear of water and other substances. Hospitals and medical clinics should follow health regulations and properly monitor the delivery of their services. Homeowners should always make sure that their pets never pose a threat to humans. Those who fail to exercise caution in these or other areas may expose themselves to personal injury lawsuits. In personal injury cases, the plaintiff seeks compensation to cover medical expenses or other financial losses related to the injury. Damages can also be sought to compensate for the pain and suffering by the victim and the emotional distress experienced by members of the victim’s family. In the event of a death, the surviving family members can seek damages to compensate for the loss of financial support that had been provided by the deceased loved one. Civil cases can even be filed against those who are also being prosecuted in the criminal justice system. However, adequate compensation should never be taken for granted in any personal injury case. Attempts may be made by those representing the opposing side to place some of the responsibility for the accident or injury on the victim. There may also be an attempt to settle for damages that are less than the required amount. It is for these and other reasons why victims and their families should always seek the assistance of a personal injury attorney. An aggressive personal injury attorney in Tulsa can then build a solid case countering any attempt by the defendants to deflect responsibility. attorney you choose can matter. Always select a personal injury attorney with a long track record of excellent results for their clients. 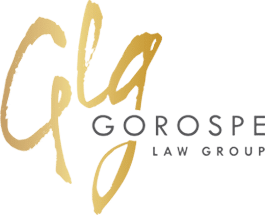 Read what our clients have been saying about the Gorospe Law Group personal injury law firm. 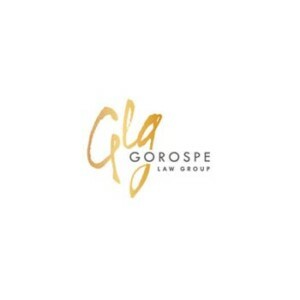 Anthony Gorospe is a personal injury lawyer in Tulsa, Oklahoma with the Gorospe Law Group personal injury law firm. Neither this website nor use of information from this website creates an attorney-client relationship. The process of hiring of an attorney is an important decision and you should consider the information contained on this website as well as other relevant factors before making such decisions.